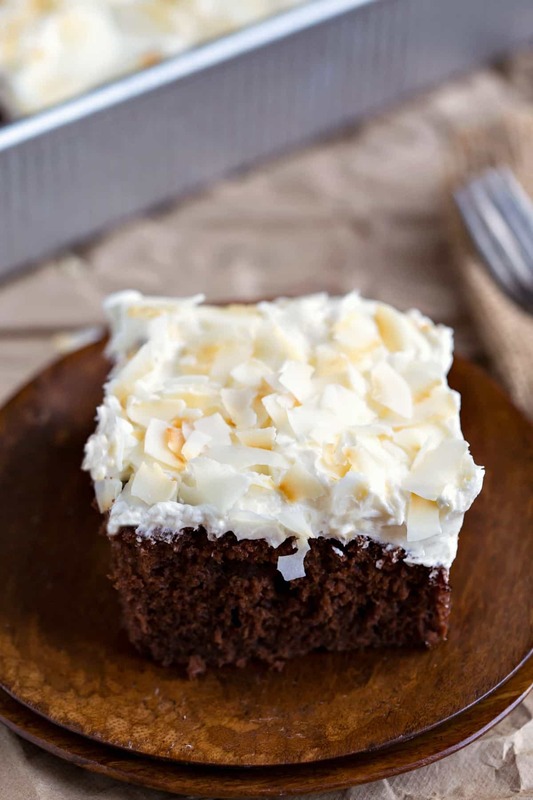 Chocolate Coconut Sheet Cake is a rich, moist chocolate sheet cake topped with sweet and creamy coconut frosting and crunchy, toasted coconut chips! This summer has been flying by! I can’t believe August is just a few short days away (what?!). At this point in the summer, everything seems like it goes in fast-forward. It seems like we have a million things to do before school starts, and we haven’t even done half of what we wanted to do this summer. One thing that I have been working on this summer, though, is more easy recipes – like this Chocolate Coconut Sheet Cake. 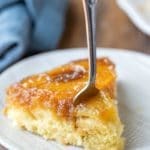 Even though the cake and the frosting are both made from scratch, it only takes about 15 minutes of total hands-on time to make this super yummy cake. The cake itself is moist and rich and chocolaty. 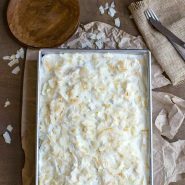 It goes perfectly with the sweet, creamy coconut frosting, and the cake it topped with crunchy toasted coconut chips. I highly suggest finding or making toasted coconut chips. I found a bag already toasted in the health food section at our grocery store. 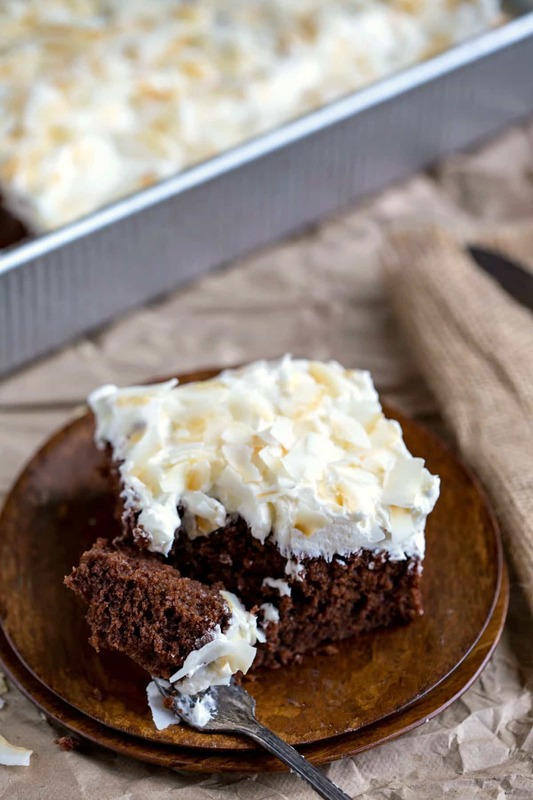 They really help to make this chocolate coconut sheet cake something special. Preheat oven to 350F. 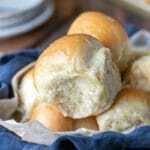 Grease a 9x13-inch baking pan; set aside. In a large bowl, whisk together flour, sugar, cocoa powder, baking soda, baking powder, and salt. Add coconut oil, yogurt, melted chocolate, eggs, vanilla, and water. Stir together until combined. Bake for 30-40 minutes, or until a toothpick inserted in the center comes out clean. 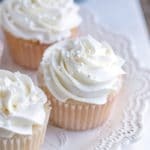 To make frosting, beat butter until smooth, about 1-2 minutes. Add coconut milk, powdered sugar, and vanilla extract. Beat until well-combined. Stir in pinch or two of salt, to taste. 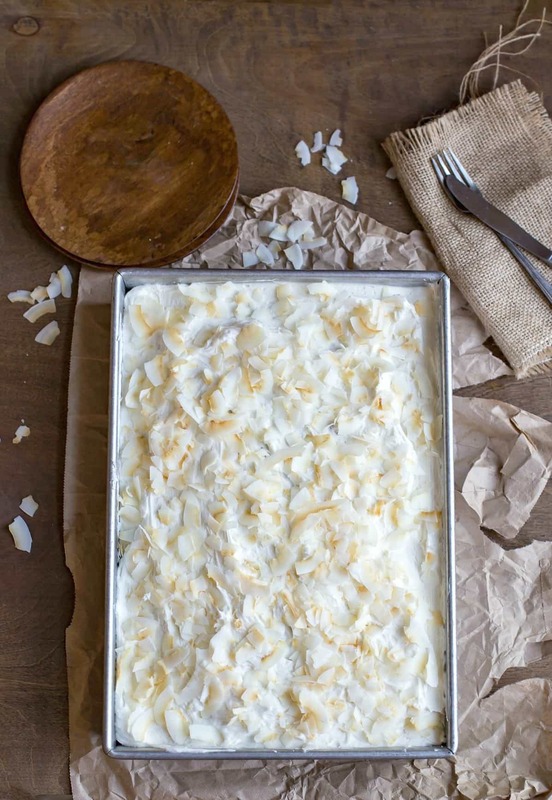 Spread frosting over cooled cake, and top with coconut chips. If you're colder ingredients aren't at room temperature, the chocolate and the coconut oil can both harden when mixed with the cold ingredients.